The spring / summer 18 collection of etnies has arrived at kunstform BMX Shop. 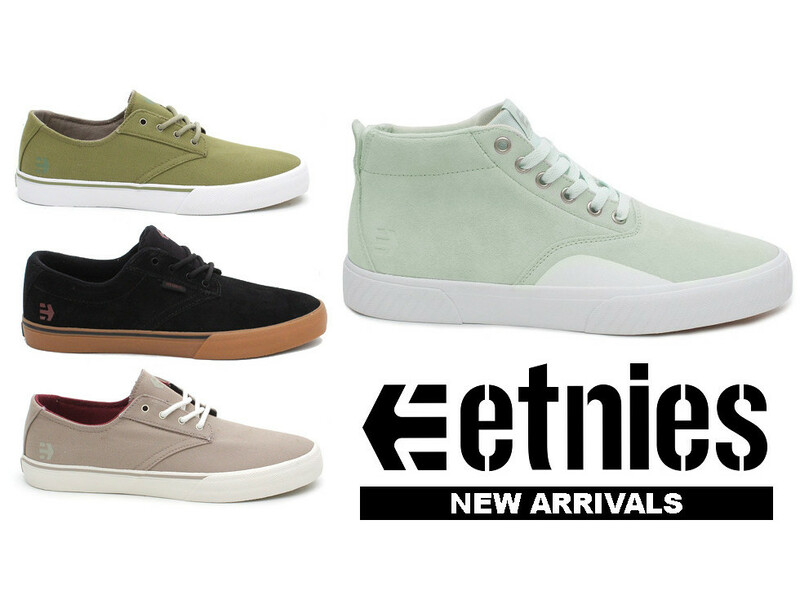 The new Etnies "Jameson Vulc MT" shoes are especially popular for BMX riding. Due to the high cut can avoided hits at the angle, especially if your are doing whips then you will love them. The sole feels great on the pedals. Also Devon Smillie has chosen this shoe as his signature colorway shoe. Also some parts from the Etnies X Happy Hours collaboration are now in stock while supplies last.